2018 was an exciting year for Google's research teams, with our work advancing technology in many ways, including fundamental computer science research results and publications, the application of our research to emerging areas new to Google (such as healthcare and robotics), open source software contributions and strong collaborations with Google product teams, all aimed at providing useful tools and services. Below, we highlight just some of our efforts from 2018, and we look forward to what will come in the new year. For a more comprehensive look, please see our publications in 2018. Over the past few years, we have observed major advances in AI and the positive impact it can have on our products and the everyday lives of our billions of users. For those of us working in this field, we care deeply that AI is a force for good in the world, and that it is applied ethically, and to problems that are beneficial to society. This year we published the Google AI Principles, supported with a set of responsible AI practices outlining technical recommendations for implementation. In combination they provide a framework for us to evaluate our own development of AI, and we hope that other organizations can also use these principles to help shape their own thinking. It's important to note that because this field is evolving quite rapidly, best practices in some of the principles noted, such as "Avoid creating or reinforcing unfair bias" or "Be accountable to people", are also changing and improving as we and others conduct new research in areas like ML fairness and model interpretability. This research in turn leads to advances in our products to make them more inclusive and less biased, such as our work on reducing gender biases in Google Translate, and allows the exploration and release of more inclusive image datasets and models that enable computer vision to work for the diversity of global cultures. Furthermore, this work allows us to share best practices with the broader research community with the Fairness Module in the Machine Learning Crash Course. Much of our research centered on using ML and computer science to help our users accomplish things faster and more effectively. Often, these results in collaborations with various product teams to release the fruits of this research in various product features and settings. One example is Google Duplex, a system that requires research in natural language and dialogue understanding, speech recognition, text-to-speech, user understanding and effective UI design to all come together to enable an experience whereby a user can say "Can you book me a haircut at 4 PM today? ", and a virtual agent will interact on your behalf over the telephone to handle the necessary details. Other examples include Smart Compose, a tool that uses predictive models to give relevant suggestions about how to compose emails, making the process of email composition faster and easier, and Sound Search, a technology built on the Now Playing feature that enables you to discover what song is playing fast and accurately. Additionally, Smart Linkify in Android shows how we can use an on-device ML model to make many different kinds of text that appear on the screen of your phone more useful by understanding the kind of text you're selecting (e.g. knowing that something is an address, so we can offer a shortcut to a maps or direction link). We also released Cirq, an open source programming framework for quantum computers, and explored how quantum computers could be used for neural networks. Finally, we shared our experience and techniques for understanding performance fluctuations in quantum processors, and shared some thoughts on how quantum computers might be useful as a computational substrate for neural networks. We're looking forward to exciting results in the quantum computing space in 2019! Our perception research tackles the hard problems of allowing computers to understand images, sounds, music and video, as well as providing more powerful tools for image capture, compression, processing, creative expression, and augmented reality. 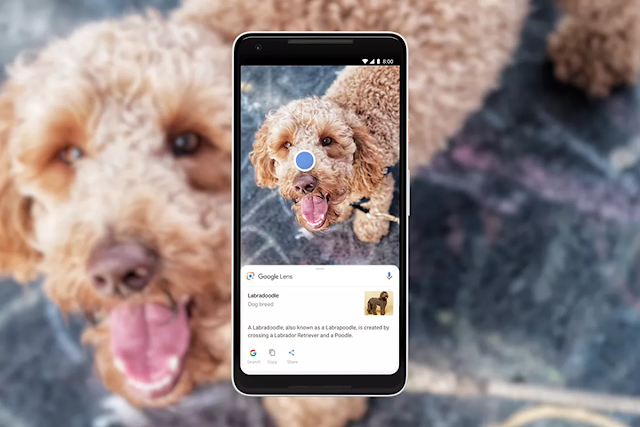 In 2018, our technology improved Google Photos' ability to organize the content that users most care about, such as people and pets. Google Lens and the Assistant enabled users to learn about the natural world, answer questions in real-time, and do more with Lens in Google Images. A key aspect of the Google AI mission is to empower others to benefit from our technology, and we've made a lot of progress this year in improving capabilities and building blocks that are parts of Google APIs. Examples include improved and new capabilities in vision and video in Cloud ML APIs and face-related on-device building blocks through ML Kit. Enabling perception on resource-constrained platforms has becoming increasingly important. MobileNetV2 is Google's next-generation mobile computer vision model and our MobileNets are used widely across academia and industry. 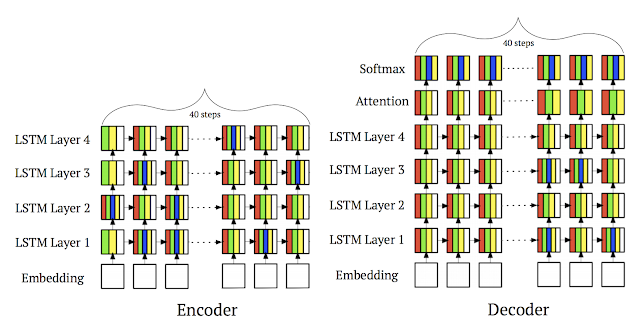 MorphNet proposes an efficient method for learning the structure of deep networks that results in across-the-board performance improvements on image and audio models while respecting computational resource constraints, and more recent work on automatic generation of mobile network architectures demonstrates that even higher performance is possible. This year, one of our primary efforts in computational photography research was to create a new capability called Night Sight, which enables Pixel phone cameras to "see in the dark", earning praise by both press and users. Of course, Night Sight is just one of the new software-enabled camera features our teams have developed to help you take the perfect photo, including using ML to provide better portrait mode shots, seeing better and further with Super Res Zoom and capturing special moments with Top Shot and Google Clips. In distributed optimization, we worked to improve the round and communication complexity of well-studied combinatorial optimization problems such as matchings in graphs via round compression and via core-sets, as well as submodular maximization, and k-core decomposition. On the more applied side, we developed algorithmic techniques for solving set cover at scale via sketching and for solving balanced partitioning and hierarchical clustering for graphs with trillions of edges. Our work on online delivery services was nominated for the best paper award at WWW'18. Finally, our open source optimization OR-tools platform won 4 gold medals at the 2018 Minizinc constraint programming competition. The Hierarchical Planner's placement of a NMT (4-layer) model. White denotes CPU and the four colors each represent one of the GPUs. Note that every step of every layer is allocated across multiple GPUs. This placement is 53.7% faster than that generated by a human expert. In 2018 we learned about Spectre and Meltdown, new classes of serious security vulnerabilities in modern computer processors, thanks to Google's Project Zero team in collaboration with others. These and related vulnerabilities will keep computer architecture researchers quite busy. In our continuing efforts to model CPU behavior, our Compiler Research team integrated their tool for measuring machine instruction latency and port pressure into LLVM, making possible better compilation decisions. Google products, our Cloud offerings and inference for machine learning models depend critically on the ability to provide large-scale, reliable, efficient technical infrastructure for computing, storage and networking. A few research highlights from the past year include the evolution of Google's Software Defined Networking WAN, a stand-alone, federated query processing platform that executes SQL queries against data stored in different file-based formats, in many storage systems (BigTable, Spanner, Google Spreadsheets, etc.) and a report on our extensive use of code review, investigating the motivations behind code review at Google, current practices, and developers' satisfaction and challenges. 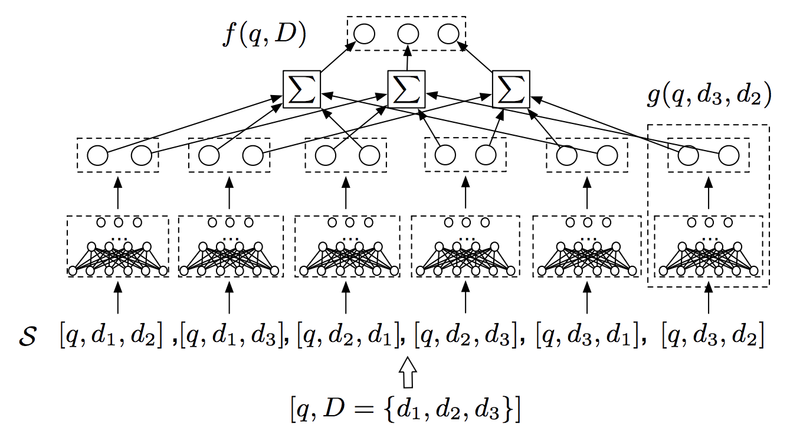 Tensor Processing Units (TPUs) are Google's internally-developed ML hardware accelerators, designed from the ground up to power both training and inference at scale. 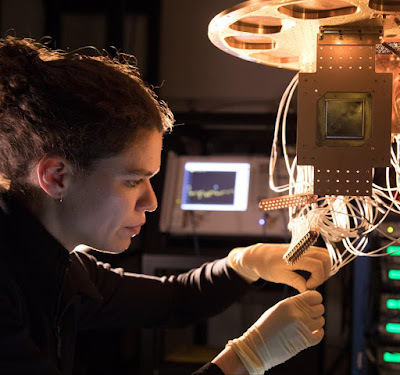 TPUs have enabled Google research breakthroughs such as BERT (discussed previously), and they also allow researchers around the world to build on Google research via open source and to pursue new breakthroughs of their own. For example, anyone can fine-tune BERT on TPUs for free via Colab, and the TensorFlow Research Cloud has given thousands of researchers the opportunity to benefit from even larger amounts of free Cloud TPU computing power. We've also made multiple generations of TPU hardware commercially available as Cloud TPUs, including ML supercomputers called Cloud TPU Pods that make large-scale ML training much more accessible. Internally, in addition to enabling faster advances in ML research, TPUs have driven major improvements across Google's core products, including Search, YouTube, Gmail, Google Assistant, Google Translate, and many others. We look forward to seeing ML teams both here at Google and elsewhere achieve even more with ML via the unprecedented computing scale that TPUs provide. An individual TPU v3 device (left) and a portion of a TPU v3 Pod (right). TPU v3 is the latest generation of Google's Tensor Processing Unit (TPU) hardware. Available to external customers as Cloud TPU v3, these systems are liquid-cooled for maximum performance (computer chips + liquid = exciting! ), and a full TPU v3 Pod can apply more than 100 petaflops of computational power to the world's largest ML problems. Releasing open source software and the creation of new public datasets are two major ways that we contribute to the research and software engineering communities. One of our largest efforts in this space is TensorFlow, a widely popular system for ML computations that we released in November 2015. We celebrated TensorFlow's third birthday in 2018, and during this time, TensorFlow has been downloaded more than 30M times, with over 1700 contributors adding 45,000 commits. In 2018, TensorFlow had eight major releases and added major capabilities such as eager execution and distribution strategies. We launched public design reviews engaging the community in the development process, and we engaged contributors via special interest groups. With the launches of associated products such as TensorFlow Lite, TensorFlow.js and TensorFlow Probability, the TensorFlow ecosystem grew dramatically in 2018. From time-to-time, we also help establish new kinds of challenges for the research community, so that we can all work together on solving difficult research problems. Often these are done with the release of a new dataset, but not always. This year, we established new challenges around the Inclusive Images Challenge, to work towards making more robust models that are free from many kinds of biases, the iNaturalist 2018 Challenge which aims to enable computers' fine-grained discrimination of visual categories (such as species of plants in an image), a Kaggle "Quick, Draw!" Doodle Recognition Challenge to create a better classifier for the QuickDraw challenge game, and Conceptual Captions, a larger-scale image captioning dataset and challenge aimed at enabling better image captioning model research. In 2018, we made significant progress towards our goal of understanding how ML can teach robots how to act in the world, achieving a new milestone in the ability to teach robots to grasp novel objects (best systems paper at CoRL'18), and using it to learn about objects without human supervision. We've also made progress in learning robot motion by combining ML and sampling-based methods (best paper in service robotics at ICRA'18) and learning robot geometry for faster planning. We've made great strides in our ability to better perceive the structure of the world from autonomous observation. For the first time, we've been able to successfully train deep reinforcement learning models online on real robots, and are finding new, theoretically grounded ways, to learn stable approaches to robot control. 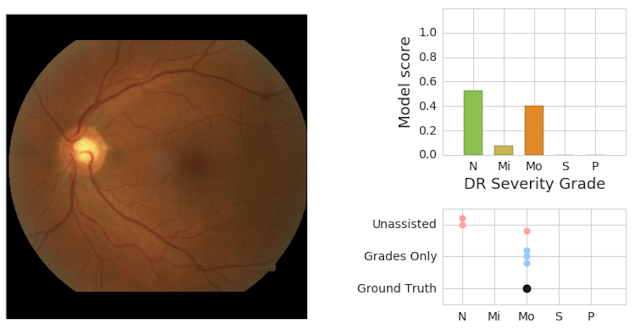 On the left is a retinal fundus image graded as having moderate DR ("Mo") by an adjudication panel of ophthalmologists (ground truth). On the top right is an illustration of the predicted scores ("N" = no DR, "Mi" = Mild DR, "Mo" = Moderate DR) from the model. On the bottom right is the set of scores given by physicians without assistance ("Unassisted") and those who saw the model's predictions ("Grades Only"). When applying ML to historically-collected data, it's important to understand the populations that have experienced human and structural biases in the past and how those biases have been codified in the data. Machine-learning offers an opportunity to detect and address bias and to proactively advance health equity, which we are designing our systems to do. We interact with the external research community in many different ways, including faculty engagement and student support. We are proud to host hundreds of undergraduate, M.S. and Ph.D. students as interns during the academic year, as well as providing multi-year Ph.D. fellowships to students throughout North America, Europe, and the Middle East. In addition to financial support, each of the fellowship recipients is assigned one or more Google researchers as a mentor, and we bring together all the fellows for an annual Google Ph.D. Fellowship Summit, where they are exposed to state-of-the-art research being pursued at Google and given the opportunity to network with Google's researchers as well as other PhD Fellows from around the world. 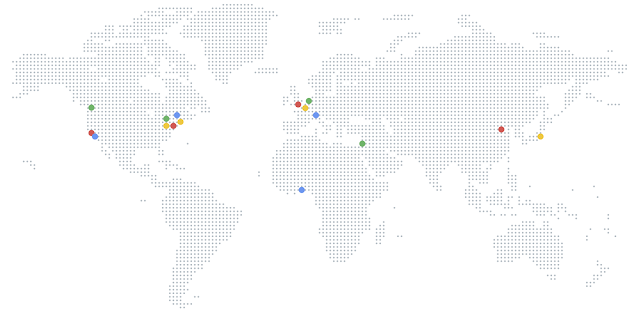 Complementing this fellowship program is the Google AI Residency, a way of allowing people who want to learn to conduct deep learning research to spend a year working alongside and being mentored by researchers at Google. Now in its third year, residents are embedded in various teams across Google's global offices, pursuing research in areas such as machine learning, perception, algorithms and optimization, language understanding, healthcare and much more. With applications having just closed for the fourth year of this program, we are excited to see the research the new cohort of residents will pursue in 2019. This blog post summarizes just a small fraction of the research performed in 2018. As we look back on 2018, we're excited (and proud!) of the breadth and depth of what we have accomplished. In 2019, we look forward to having even more impact on Google's direction and products, as well as on the broader research and engineering community!